We’d like to announce to all our supporters, that we’ve started designing a second car. Over the next few years, we plan to design, build, and demonstrate this all-new car. Those that created the original Urbee, will now create URBEE 2.
and integrate Digital Manufacturing throughout the new design. most of what makes up URBEE 2 will now become 3-D printed, too. With URBEE 2 , we’ll continue to explore this amazing technology of Additive Manufacturing that is revolutionizing how products are made. The patented aerodynamic Urbee body (Cd = 0.15) will remain much the same. However, URBEE 2 will look very much like a production-ready car. … a sensible car many people would indeed buy and use every day. As a true test of its usefulness and energy efficiency, we plan to take URBEE 2 on a road trip. We hope to achieve a world record at the end of this long journey. We plan to drive URBEE 2 from New York to San Francisco, 2,905 miles that should take 42 hours of driving time averaging 69 miles per hour (according to Google Maps). Our plan is to use the least energy of any practical car. Our goal is to use 10 U.S. Gallons for the entire trip. In metric units, this works out to a 4,676 km journey, at an average speed of 111 km/hour, using 37.85 litres of fuel. In Imperial units, 10 U.S. Gallons = 8.33 Imperial Gallons. At this early stage, there are a lot of assumptions in our calculations. That’s good enough to go all the way across the U.S. without filling up! We are inspired by Charles Lindbergh and his magnificent airplane. Their epic flight changed how the world viewed aviation. In driving URBEE 2 coast to coast, we hope to show the world that using as little energy as possible is a practical and viable alternative, compared to always looking for more and more energy. … and that the Carbon in the atmosphere is also rising. These two global trends are linked, and are extremely alarming to us. As designers, we feel a responsibility to contribute where we can. So, we continue to suggest societal alternatives, such as URBEE 2, specifically engineered to provide personal mobility on a global scale, while doing the least damage to the environment. Started in 2013, the preliminary CAD model of URBEE 2 . We are also inspired by Dr. Horatio Nelson Jackson (1872 – 1955). In May of 1903, Horatio Jackson, his mechanic Sewall K. Crocker, and his dog ‘Bud’, set out from San Francisco, headed for New York City in a Winton car, christened ‘The Vermont’. ‘Horatio’s Drive’ was the first cross-country road trip in a motor car. The trio completed their journey in 2 months and 9 days. They used 800 gallons of gasoline to do the trip. The original Winton is displayed in the Smithsonian Museum. A plaque in Burlington, Vermont commemorates this historic event. Our plan with URBEE 2 is to follow our record run (NY to SF) with a re-enactment of Horatio’s Drive (SF to NY). The NY to SF record attempt will showcase URBEE 2’s prowess as an energy-efficient long-distance vehicle. It will be accomplished virtually non-stop, on I-80W. The journey should take under 2 days. Drivers during the record attempt will be Cody Kor and Tyler Kor. Also along for the entire ride will be their dog, ‘Cupid’. Re-enacting Horatio’s Drive will showcase, within cities on route, URBEE 2’s prowess as an efficient runabout city-car. SF to NY will precisely follow Horatio’s historic route, stopping along the way to demonstrate URBEE 2 as a city car. Local media will be invited to every planned stop along the way. The return journey that begins in SF will take 2 months to reach NY. Consider the difference in technology between 1903 and today. Compare Horatio’s Drive alongside our goal for URBEE 2 (below). Producer, Doug Howe, owner of Greenwich Productions, created the first Urbee documentary (poster shown below). The DVD or download will be available soon through our website. Doug will be following our R&D program for the next several years, as his company continues to document the entire URBEE 2 story. This project is the right thing to do. Alongside Stratasys, we’re committed and we’ve started. We are considering donating URBEE 2 to the Smithsonian after the car has completed its long journey (NY to SF to NY). 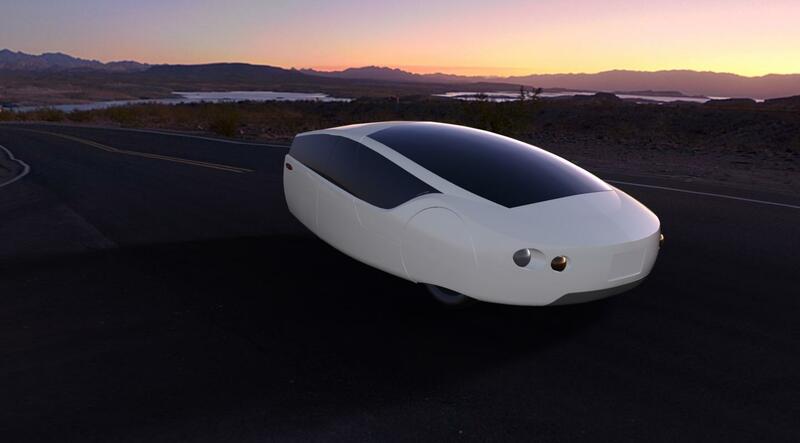 While on display in the Smithsonian, URBEE 2 would continue to educate the visiting public about sustainable, affordable cars specifically designed to use the least energy for movement. this project continues to attract some of the best talent in the world. we believe we could design URBEE 2, 100% in CAD, within 1 year. We then would need another year to build and test the new car. Via this progression, we would be ready for a record run in May, 2015.
continues to want to follow this project’s progess. on hardly any fuel at all.